THREE people were killed in car crashes, caught in Hurricane Irma’s destructive path as it made landfall in Florida, according to US officials. Announcing itself with roaring winds, Irma swept over the Florida Keys for the start of what could be a slow, ruinous march up the state’s west coast towards the heavily populated Tampa-St Petersburg area. 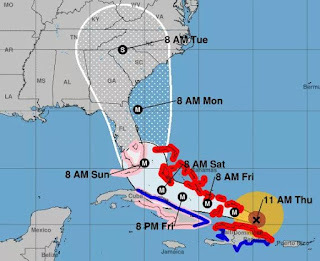 The hurricane is expected to rake Florida’s west coast throughout Sunday, a change from earlier predictions that left some residents and officials scrambling to find shelter. At least 1.4 million customers are without power, including more than 75 per cent of Miami-Dade County without power, reports Reuters. In Miami the storm downed a huge crane in the city’s downtown with social media footage capturing the terrifying moment. Whitecaps were also seen forming on streets in the Brickell neighbourhood of Miami as the storm surge rushed into the city. Earlier, the eye of the Category 4 storm hit Key West before being revised to Category 3, bringing winds of up to 210km/h and threatening dangerous storm surges. The eyeball is where the most severe weather occurs while the eye of the storm brings calmer conditions. The National Hurricane Centre announced the arrival of the eyeball in their 7am advisory local time. Mr Scott warned the devastating storm surge from Irma will cause the waters to rise quickly and overwhelm everything in its path. “This water is going to come in very quickly, it’s going to cover your first floor potentially or more and then eventually it’s going to come out. I don’t know how you’re going to survive that,”? he said. With first responders unable to hit the streets because of the lashing wind and rain, Mr Scott said residents who haven’t evacuated or sought shelter are on their own. 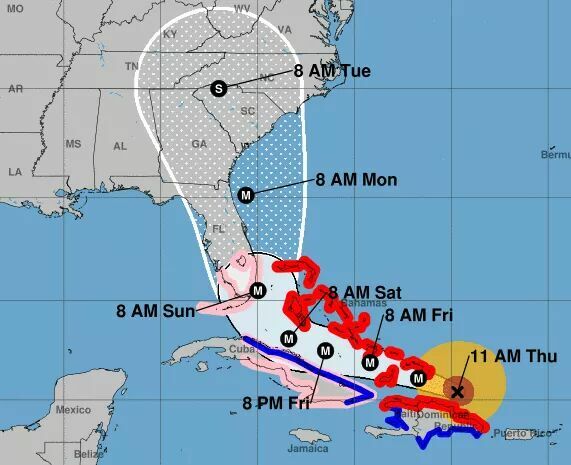 “This is an extremely dangerous and life-threatening situation!” the National Weather Service in Key West said earlier, urging those who had not heeded dire warnings to evacuate to take shelter “now to protect your life!”. Florida’s Naples Mayor Bill Barnett said he had never dealt with a storm like this. “This is just a monster,” he said. Flooding of up to 4.5 metres - enough to cover a house - were expected and some areas are already experiencing heavy rain and hurricane-force winds..
A tornado funnel cloud also formed off the coast of Fort Lauderdale on Saturday about 6.40pm local time, with the US National Hurricane Centre warning that “a few” more were possible in south and central Florida. Earlier the National Weather Service Key West said winds were “imminent” and told residents in the Florida Keys “it is time to hunker down”. In a tweet it advised people not to go outside, to get away from windows and to “put your shoes on now!”. The impact of the storm could be felt in the neighbouring state of Georgia with a tropical storm warning issued for Atlanta, the first time that has happened in the city’s history. The warning means that tropical storm conditions are expected within the next 36 hours. Peak winds were expected to reach 48 to 64km/h with gusts of up to 88km/h. 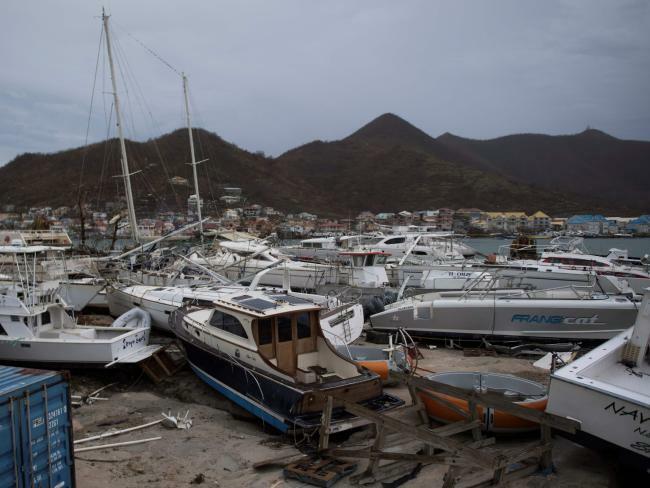 Irma regained strength on Sunday as it headed towards southwest Florida after leaving a path of destruction across the Caribbean. The city of St Petersburg is likely to take a direct hit from the storm as well as Tampa. Neither St Peterburg or Tampa have suffered a major hurricane in nearly a century. Mr Buckhorn said anyone remaining in the city’s mandatory evacuation zone had hours to move out, as it faces a potential 4.6m storm surge. “This is our worst nightmare,” he said of the possible looming inundation on CNN. 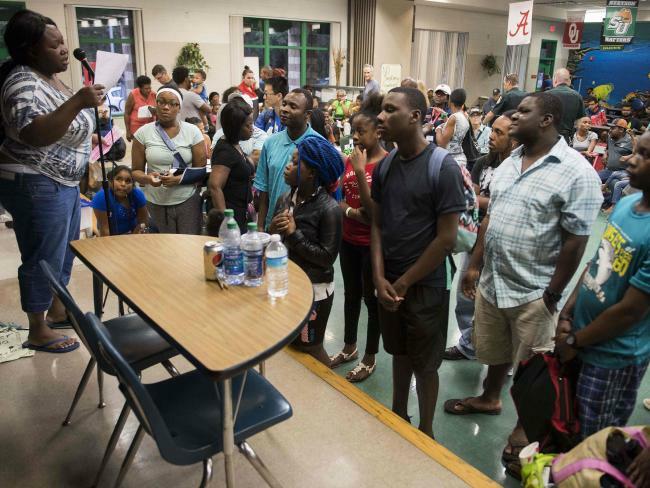 More than 6.3 million - nearly a third of Florida’s population - have been ordered to evacuate. Earlier, MacDill air force Base, the military installation home to US Central Command, issued mandatory evacuation orders. Terrified Cubans who rode out Irma in coastal towns - after the storm made landfall on Friday as a maximum-strength Category 5 storm on the Camaguey archipelago - reported “deafening” winds, uprooted trees and power lines, and blown rooftops. Irma is so wide that authorities were bracing for destructive storm surges on both coasts and the Keys. Mr Scott said all 20.6 million Floridians should prepare to flee. “Upside-down cars are in the cemeteries. Boats are sunk in the marina, shops are destroyed.” Another powerful storm, Hurricane Jose, had been heading toward the same string of Caribbean islands Irma has pommeled in recent days, but the area received a welcome reprieve when the storm began to gradually weaken and shift course towards the north.